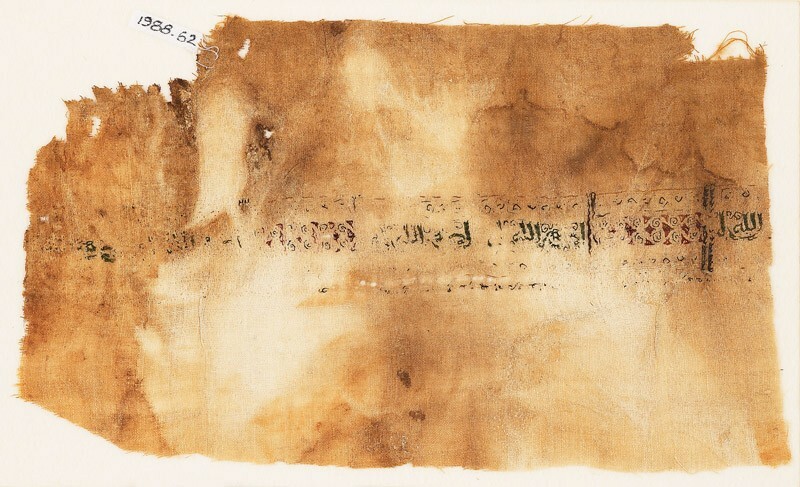 A band is divided into green inscription and finely embroidered scrolls on a red ground. The inscription reads "al-nasr min allah" (victory is from God). The band has a border which is mostly deteriorated.